Location: Above Sea View Terrace, opposite Literary Institute. 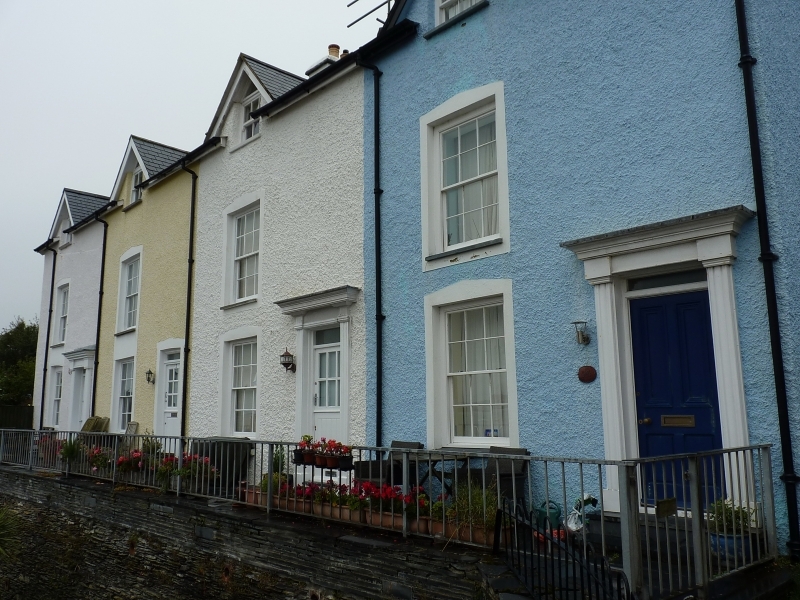 Terrace of 4 mid C19 houses. Two storeys plus attic, one window, rendered, slate roofs, rectangular chimneys, rendered. Each house has small attic triangular gable with small-pane hornless sash window set across eaves. First floor 12-pane hornless sash window; similar window to ground floor. Doorways set to R; classicising doorcases to Nos 2 & 4 (modern), modern doors. Relatively unaltered group of Mid-C19 houses. Below and to E of St Peter's Church. Above Sea View Terrace, approximately 50m E of junction with New Street.